I went to see the film last night. I’d read the book when it was first published and did say in a review that I thought Ian McEwan had done a brilliant job of portraying the life of a lawyer – in this case a judge. The film is perhaps even better. Emma Thompson is superb as the judge Fiona Maye. Every advocate knows that moment as one walks into the courtroom – one’s personal life, ones feeling left behind. Emma Thompson gets it just right. The scenes in court reflect the real world. 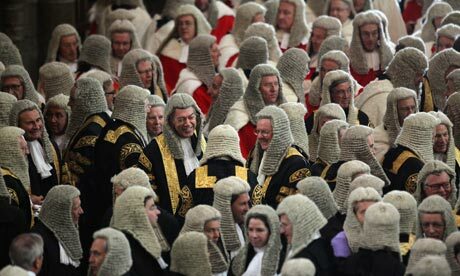 One could say that the robes aren’t quite right but the behaviour is. A High Court Judge in a tetchy mood is not to be trifled with. It also demonstrates the emotional cost for lawyers dealing with these very difficult cases, not just in the family courts but in the criminal courts as well. The setting of the film in and around the Royal Courts of Justice and Grays Inn are as I remember them. Elegant buildings, a haven from the rough and tumble of every day London, set around manicured lawns. A few years after I had been called to the Bar, I was at a drinks party in The Temple to which a number of Judges had been invited. Amongst them was a Judge I knew quite well because he had been a solicitor and appeared at one of the London Magistrates Court on a daily basis. He was about five or six years older than me, single, quite good looking and an entertaining conversationalist so when he invited me to have dinner with him one evening I accepted. We arranged to meet the following Wednesday outside the Royal Court Theatre in Sloane Square, Chelsea. On the day of our date, I can’t remember what happened but at some time in the afternoon I realised I would be unable to get to Sloane Square by the agreed hour or at all. This was before the days of mobile phones, so I tried to ring the Court where I knew he was sitting. After some delay, I was put through to the Court Clerks’ room, only to be told the Judge had risen for the day and he had left the building. I tried various other numbers hoping I could catch up with him, but failed to do so. Eventually, when I was able to do so, I left court and went home. I resolved to write the Judge a short note apologising for standing him up, but didn’t manage to get round to it as quickly as I should have done. A couple of days later I was instructed to represent two brothers who were facing a number of counts of burglary. They both had a number of previous convictions and were reluctant to plead guilty to these new offences, although the evidence against them was fairly conclusive. The case was listed for plea and directions, which meant they would be asked whether they were pleading guilty or not guilty. I arrived at court determined to persuade them it was in their best interests to plead guilty to the charges on the indictment. Quite often when a defendant pleaded guilty they were sentenced immediately; this was particularly true if they were persistent offenders and the only possible outcome was a custodial sentence. I had anticipated that is what would happen with these two brothers. When I arrived at the Court House and checked which judge would be trying the case, my heart sank when I discovered it was the Judge I had stood up the previous Wednesday. Here was a dilemma; was I advise them to plead guilty and hope the Judge would not inflict any greater sentence because of my actions or let them plead not guilty and hopefully be in front of a different judge on a later occasion. I decided my initial opinion was the right one, and in conference with them both I advised them to plead guilty. They were still reluctant and one of them asked me if I knew the Judge. I told them I did and that I thought he would be fair and reasonable when he passed sentence on them. I didn’t reveal my indiscretion of the previous Wednesday. They maintained their innocence and I left them in the cells and went up into court, a little relieved that I would not have to mitigate on their behalf in front of a Judge I had offended. Just as the two brothers were called into court, the dock officer called to me and said they wanted to speak to me; I had to ask the Judge to allow me a few minutes. He did so and when I spoke to my clients they said they had changed their minds and would plead guilty to the indictment. The Judge must have felt he needed to put out of his mind my failure to keep our date, because he gave them, what I thought was a very lenient sentence. There must have been a fair amount of social security frauds when I was in practice as another incident, with a Judge behaving badly, also concerned a woman who had obtained welfare payments by deception. My own opinion was that too many Judges had no idea how difficult it was to manage on so little money. Most lawyers would have thought nothing about paying forty pounds for a pair of children’s shoes – it was less than they would spend on a bottle of wine. But the law is the law and it is taxpayers money. I was instructed to represent another woman charged with offences of obtaining welfare payments by deception. It wasn’t her first court appearance and she had been given a suspended prison sentence to enable her to see a psychologist in the hope that dealing with some of her many problems would stop her reoffending. It had not, and although the Probation Officer was asking for another chance – she had failed to keep the appointments with the psychologist on occasions but not always for perfectly proper reasons – I thought she was likely to go to prison. No one should forget that sending a woman to prison often means that children have to go into care. ‘No you cannot,’ he said. ‘But, Your Honour…’ I was interrupted again. ‘Sit down. Sit down.’ By this time, the Judge was purple in the face and looked like he was bursting at the seams. I expected his wig to begin bouncing on his head. At first I didn’t sit down because I thought he would see he was being unreasonable and hear me out, and then impose whatever custodial sentence he thought appropriate. Instead he began to roar at me to sit down. This time I complied. He stormed off the Bench, leaving me in the courtroom, bemused; the ushers, the court clerk, prison staff and warrant officer were all open mouthed at his behaviour. He sent a message that the case was to be transferred to another court where the Judge who had imposed the suspended sentence was sitting; he did treat her with some leniency and made the Probation Order. This incident had unfortunate consequences for me, but that’s for later.